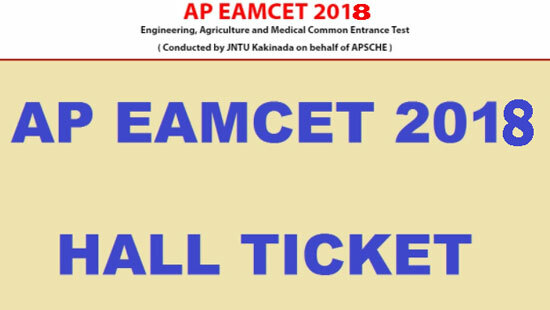 Jawaharlal Nehru Technological University (JNTU) Kakinada on behalf of APSCHE are conducting EAMCET 2018 for admission into engineering and agriculture courses based on the ranks secured in the exam. Candidates should download their AP EAMCET 2018 hall tickets from official websites and appear in the exam as per the given schedule. AP EAMCET Hall Ticket can be downloaded from the official website sche.ap.gov.in by entering registration number and date of birth. According to the schedule, the AP EAMCET 2018 hall ticket will be out on April 2018. 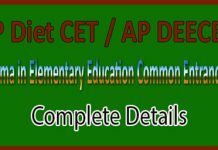 APSCHE and JNTU Kakinada will conduct AP Eamcet online test on April 2018. Candidates will able to download Engineering Agriculture Medical Common Entrance Test Admit Card before 10 days prior to the exam dates. 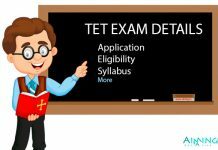 The AP EAMCET Hall Ticket 2018 should be issued to only those candidates who have filled their Andhra Pradesh EAMCET Online Application Form on or before last date. Admit Card is significant for candidates because there is no permission to candidate enters in the examination hall without Hall Ticket. AP EAMCET Admit card will also useful for counseling and admission process too. EAMCET 2018 Hall Ticket contains all information of candidates like Name of the candidate, Category, Exam Name, Time and place of an exam, Nationality of a candidate and the most important photograph and signature. Applicants can follow below steps for downloading admit card which will be useful for examination point of view. Admit Card Release Date: Hall ticket of AP EAMCET 2018 downloading starts from: 10 days prior to the exam dates. Important Note – Hall Ticket is the important identity for entering in the examination hall, the Candidates should bring Government ID proof (Such as Driving license, Pan card, Voter Id, Aadhar Card, etc) along with the AP EAMCET Hall Ticket. 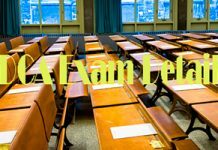 EAMCET 2018 Engineering Exam Date: April 2018. If students have any query regarding AP EAMCET Hall Ticket 2018, you can ask us by commenting in the comment box. We will reply as soon as possible.